INTERRED FOR A CEMETERY AND SCHOOL. There was once a large community here. It was first called Chambers after Elisha Chambers. It had a school, a cotton gin, a saw mill, a sorghum mill, a blacksmith shop, a church and 2 stores. The school lasted until the 1960's, with the students going to McKinney for high school. The teacherage was also a millinary store and sold Easter hats. The Chambersville Methodist Church is still active. 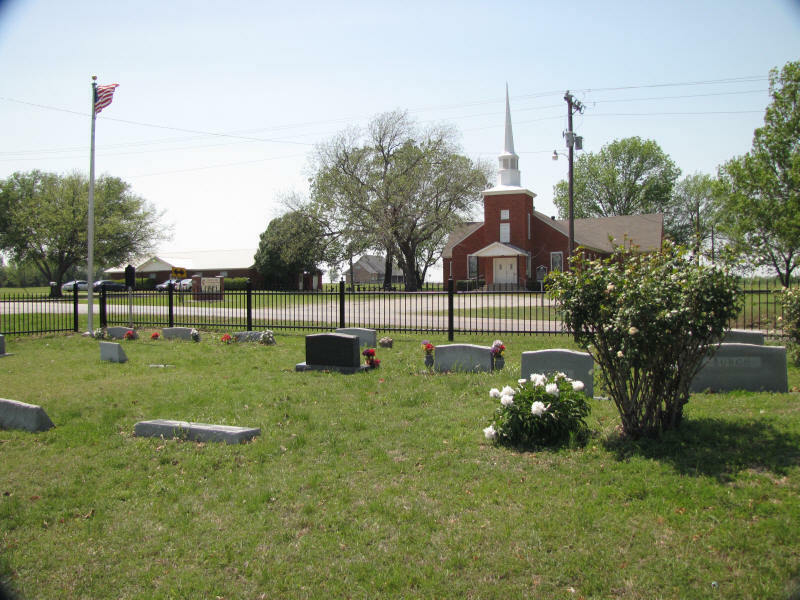 The land for a church, school, and cemetery was donated by Elisha Chambers. The Chambers home place was about 200 yards northeast of the cemetery. The cemetery was started in 1853 with the deed listed in Vol 5, p 86. The first person buried here was a son of Elisha Chambers, who died as an infant. He is buried near the center of the cemetery. 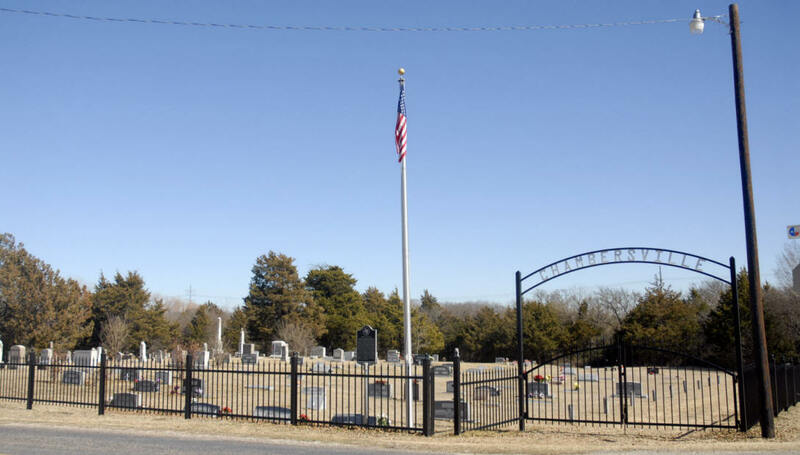 This cemetery covers about 2 acres of land and is surrounded by a 4-foot chain-link fence. There is an arch over the driveway, but no gate. This area is near the East Fork of the Trinity River. A small branch runs north and east of the cemetery. The cemetery is on a hill, with the back of the cemetery being quite a bit lower than the front. The driveway goes down the eastern edge of the cemetery and turns west. That section can be muddy. Buried in this cemetery are Lite Morris, who started the community of Roland, and Larkin Adamson, who had the first store in Weston. According to Capt. Hall in 1952 there was a marker for Minerva Royall Mims, 1835 - 1920. Her father loaned $550,000 to the Texas Republic to help it survive. The Giles family covers the whole front row of the cemetery. The cemetery is well maintained and still in use. It is close to being full. It is maintained by a cemetery association. The association owns a piece of land on the east side of CR 281. No one is buried in it as yet.